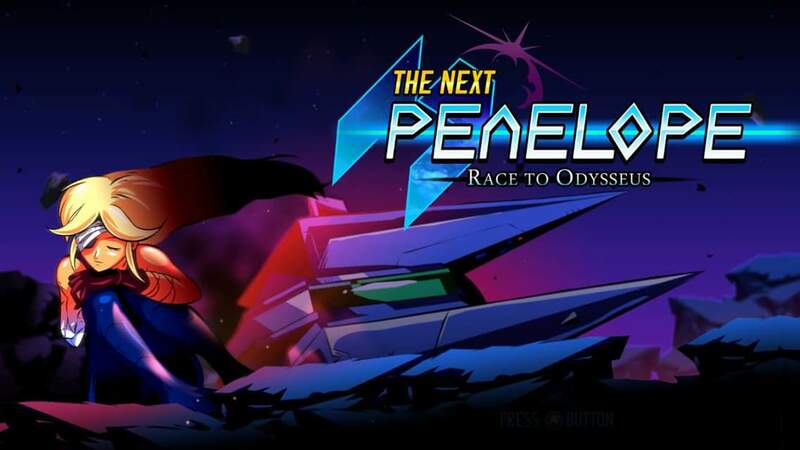 The Next Penelope: Race to Odysseus is a racing game with battle elements. You play as Penelope, searching a futuristic universe for Ulysses. 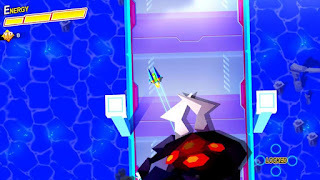 The game starts off with a few tutorial levels that teach you the controls for turning, boosting, and firing your weapons. 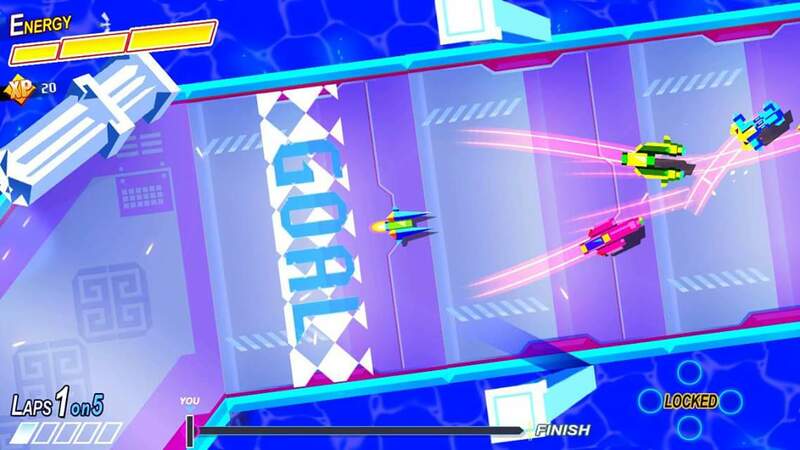 You will traverse your way across the universe tracking down your lost love, racing and fighting bosses along the way. There are various upgrades available for your ship, and the game is dripping with style. Neon abounds, and adrenaline pumping music gets you hyped up for the races at hand. The developer paid extra attention to the integration of HD Rumble, but that's where most of the game's plusses end. The races start to feel the same pretty early on, and having an open galaxy map to explore in whichever route you choose doesn't do enough to break this up. The bosses offer a suitable challenge, but it often starts to feel cheap when you fail repeatedly, no matter how familiar you become with the controls and your ship's upgrades. Multiplayer offers some of the best experiences in the game, but even that isn't enough to really put this over the edge. At it's price point, it doesn't really seem to provide the right amount of content, but is probably worth your while on sale of you're into multiplayer racing...but the Switch already has a sufficient amount of racers at better price points or those that provide more content. While the press for the game offers comparisons to the Micro Machine series, I don't get as much joy from The Next Penelope: Race to Odysseus as I did that classic series.